Health systems globally are under pressure to ensure value for money, and the people working within the system determine the extent and nature of health services provided. A performance assessment (PA); an important component of a performance management system (PMS) is deemed important at improving the performance of human resources for health. An effective PA motivates and improves staff engagement in their work. This paper describes the experiences of implementing a PA practice at a district in South Africa. It highlights factors that undermine the intention of the process and reflects on factors that can enable implementation to improve the staff performance for an effective and efficient district health service. 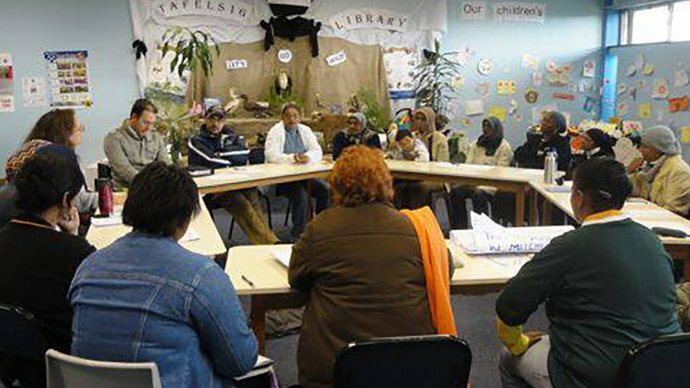 Data was collected through in-depth interviews, observations and reflective engagements with managers at a district in one of the Provinces in South Africa. The study examined the managers’ experiences of implementing the PA at the district level. A range of factors influence the implementation of the PA system. Most of it is attributed to context and organizational culture including management and leadership capacity. The dominance of autocratic approaches influence management and supervision of front-line managers. Management and leadership capacity is constrained by factors such as insufficient management skills due to lack of training. The established practice of recruiting from local communities facilitates patronage - compromising supervisor-subordinate relationships. Organizational constraints and constant policy changes and demands have compromised the implementation of the overall Performance Management and Development System (PMDS) – indirectly affecting the assessment component. To strengthen district health services, there should be improvement of processes that enhance the performance of the health system. Implementation of the PA system relies on the extent of management skills at the local level. There is a need to develop managers who have the ability to manage in a transforming and complex environment. This means developing both hard skills such as planning, co-ordination and monitoring and soft skills where one is able to focus on relationships and communication, therefore allowing collaborative and shared management as opposed to authoritarian approaches.